This movie which, at just under an hour barely qualifies as a feature film, was kept secret from the world, other then hints and rumors, up until its release on Amazon Prime. 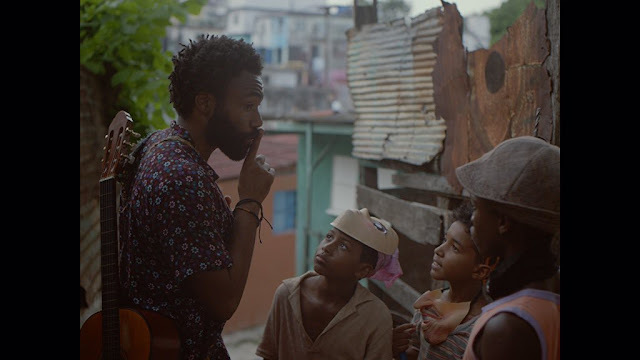 Director Hiro Murai and actor/rapper/singer Donald Glover have been working together for years and their film is largely driven by Glover's music which ranges from upbeat and whimsical to intense and thought provoking. Glover is such an engaging personality, it's hard not to enjoy watching or listening to anything he does and he definitely stands as the focal point of the movie. Rihanna and Letitia Wright play fairly small roles and, if you're wondering, Rihanna does not sing at all which was kind of disappointing but it also wouldn't have really fit into what the movie is. Nonso Anozie, who you might recognize from Game of Thrones, Ender's Game, or Cinderella, also has a part to play in the story although you probably won't like him very much. The movie is very fast paced and is over before you know it but there is so much story being told and the film makers, including writer Stephen Glover, give you a glimpse at the pros and cons of life in Cuba without getting real heavy handed. The fun and light hearted nature that captivates you for most of the film is balanced out by a finale that will leave you a bit stunned. 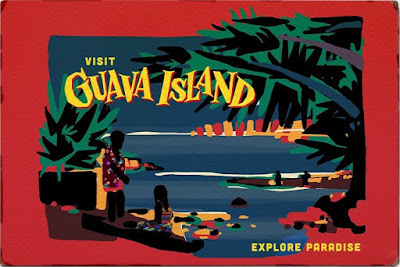 Guava Island is so much more than a collection of music videos but also falls a bit short of feeling like a full length feature film. Glover's energy and personality makes the movie a lot of fun to watch, I just wish the film makers had taken more time to flesh out the story and the rest of the characters as there is a lot of potential for this to have been a very powerful movie.